A recent 12-month study casts doubt on the benefits of Whole-Body Vibration (WBV) Therapy on slowing down the progress of Osteoporosis. Published in the Annals of Medicine2 this month, showed no impact on bone changes when compared to non-Whole-Body Vibration Therapy; leading the researchers to conclude that for WBV Therapy for 12 months did not alter BMD or bone structure in postmenopausal women who received calcium and vitamin D supplementation. Osteoporosis is a skeletal system disease characterized by low bone density and deterioration of bone tissue. The idea behind whole-body vibration is quite simple. Weight-bearing physical activities such as walking and running stresses the bones. Similarly WBV also aims to do the same. Stressing the bones causes bone-cells (osteocytes) to activate two other types of bone cells: osteoclasts, which remove damaged areas of bone; and osteoblasts, which form new bone. Thus resulting in denser, stronger bones. "Safety concerns emerged from key informant discussions, including unknown long-term harms from the use of whole-body vibration therapy, and the potential inability of consumers to clearly distinguish low-intensity platforms intended for osteoporosis therapy from platforms intended for high intensity exercise. 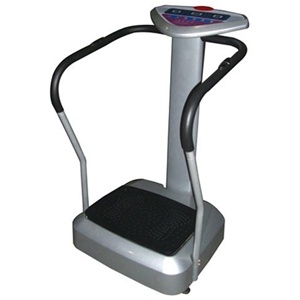 Claims about whole-body vibration therapy for the prevention and treatment of osteoporosis cannot be made without further research."